Students come to St. John Catholic School for a Christ-centered environment and leave St. John with Faith, Love, Knowledge and Purpose. ​Come see how we build a foundation for your child's success academically, spiritually, and socially. 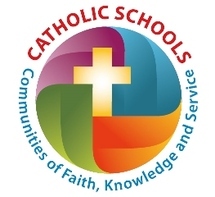 Catholic Schools in the Diocese of Oakland educate children in the Catholic faith and nurture their minds, bodies, and souls, inspiring them to live the Gospel of Jesus Christ, achieve their highest academic and creative potential, and actively serve and enrich the community.